Build Your Life With Us. We’re a big, fun, friendly family at Signature Homes. We’re enthusiastic, energetic and have a great time while creating communities for our homeowners to live out their dreams. And we’re different from other builders—our managers come from diverse backgrounds like banking, retail, telecommunications, energy exploration, marketing, sales and architectural design. We evaluate the challenges of real estate development and then put our unique Signature on every decision we make. We’re not just another average home builder. Our communities are planned from beginning to end, and our homes are tailored to their owners’ unique tastes. Between our classic architecture, designer selections and customized floor plans, we design for real life and construct for the long run. Build with us, and you’re building a future. We know that home is more than four walls and a roof. It’s also everything else—the communal spaces, the surrounding green space, the other amenities and the people around you. That’s why we help you meet your neighbors and build facilities that bring people together—to create a whole home experience you’re going to love living in for a long time. You want a partner in building your dream. Since your builder will be a part of your life during this process, we recommend you choose one that’s great to work with. From the outset, we forge a relationship with each homeowner. We offer choice. We listen. We make the process simple and smooth. So, let’s build something together. Come visit, and we’ll get started. Jonathan Belcher is the President of Signature Homes, co-founding the company with Dwight Sandlin in 1999. Prior to Signature Homes, Belcher worked for Regency Homes and continued to work there following the sale to D. R. Horton Homes three years. He has held a number of board positions and been involved with business organizations such as Vistage and Young Presidents Organization. He and his wife Brandi are Birmingham natives and have 2 sons, Jon Marc and Samuel. I love being a part of creating new communities for people to enjoy and connect with one another. Dwight Sandlin is the Chief Executive Officer of NSH Corp. d.b.a. Signature Homes. He has significant experience in the real estate and construction industry and a degree from the University of Alabama at Birmingham. Prior to cofounding Signature Homes, Sandlin was the division manager for Regency Homes, a division of D. R. Horton Homes. Sandlin founded Regency Homes in 1987 and later sold the company to D. R. Horton in 1995. 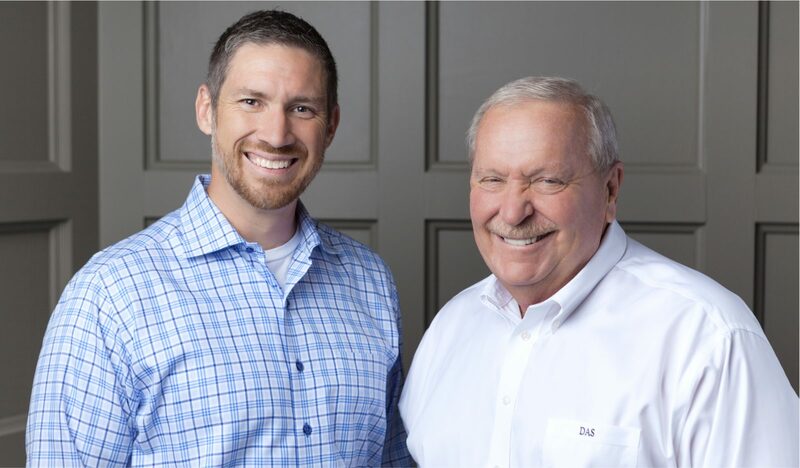 Sandlin and his wife, Sandy Sandlin, call Birmingham home where he has served on numerous boards during his career, including the Birmingham Homebuilder’s Association as a past president. He is currently a member of the Birmingham Metropolitan Development Board and the Federal Reserve Advisory Board. Tell us an item or two on your bucket list. I would love to visit China. What is your passion or favorite hobby? Golf, now if I could only get more time to play it!